We'd love to see how you and your co-workers are dressing for the holiday! Share a photo with us on Instagram or Twitter using the hashtags #styleyourscrubs and #nhacertified to showcase your creativity. 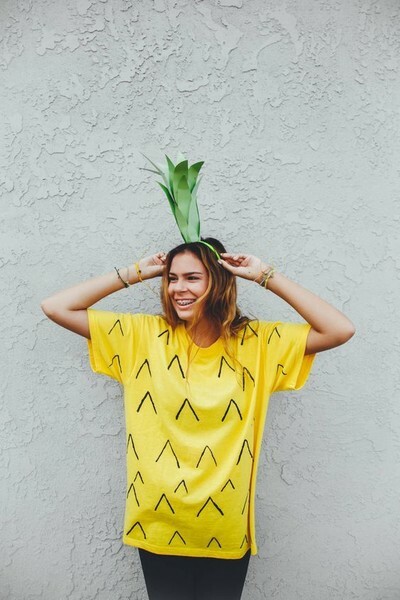 Gather up yellow scrubs, a headband, an empty toilet paper roll and some green construction paper and transform yourself into a sweet pineapple! Get instructions here. 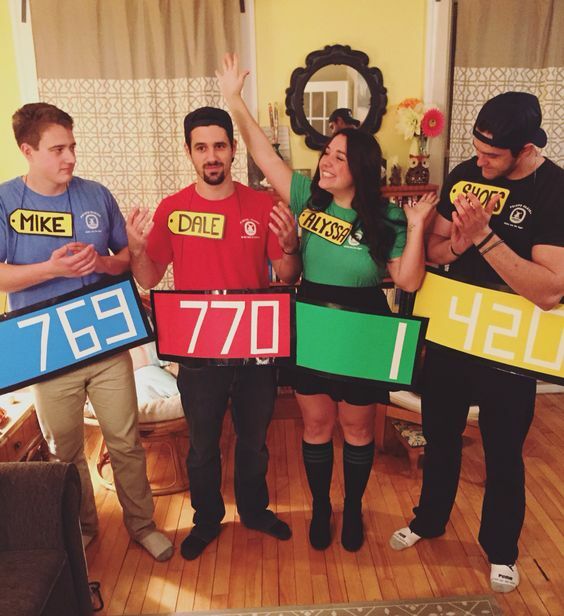 Here's a costume that could easily be thrown together last-minute. Just grab some yellow construction paper and a black marker and make a large name tag for your scrubs! 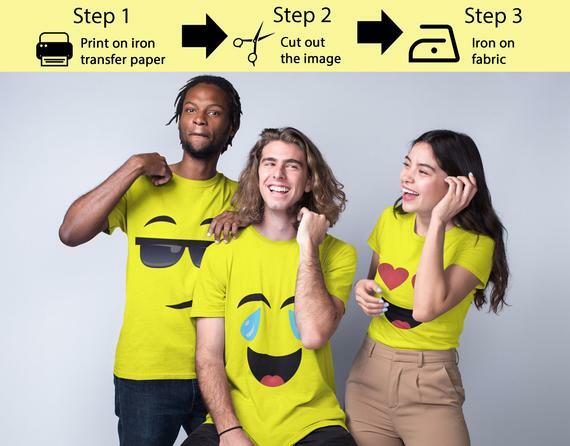 Emojis are a hot costume this year, and so simple to pull off with yellow scrubs. You can DIY it with some felt and a hot glue gun, or buy an iron-on kit like this one from Etsy. 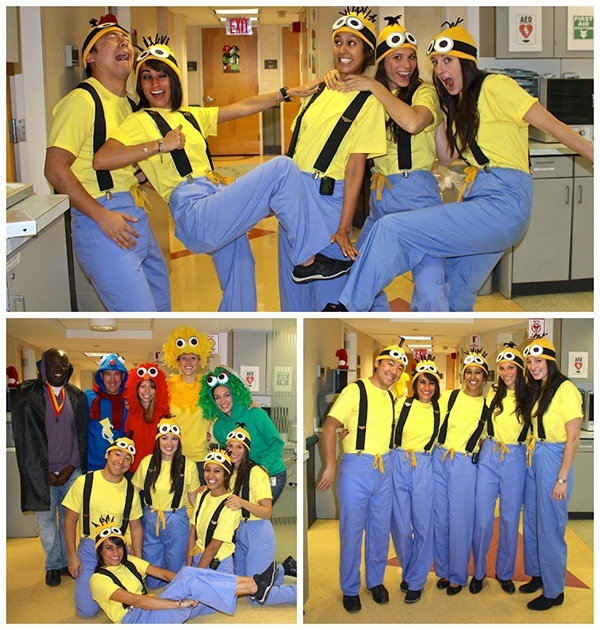 Erica from Erica's Sweet Tooth joined her fellow first year co-residents and dressed as Minions to the delight of their younger patients. She also shared her recipe for some amazing Minion cupcakes on her blog! 6. 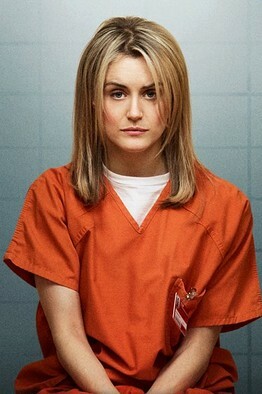 Piper from "Orange is the New Black"
If you have orange scrubs, you have a popular costume! Wear a blonde wig (unless of course you already have blonde hair), and layer a white tee under your scrubs. Do you have white scrubs? 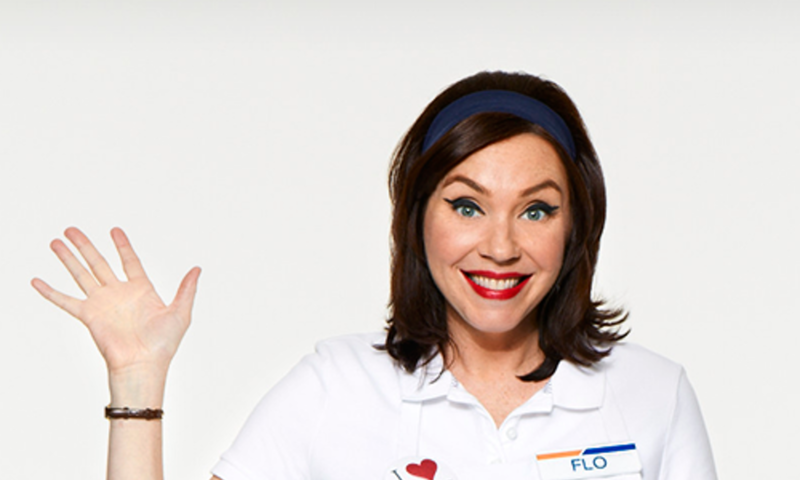 With the right accessories, hair and makeup you can transform into Flo from Progressive — a popular costume with a scrubby twist. Bustle has a detailed DIY breakdown here. 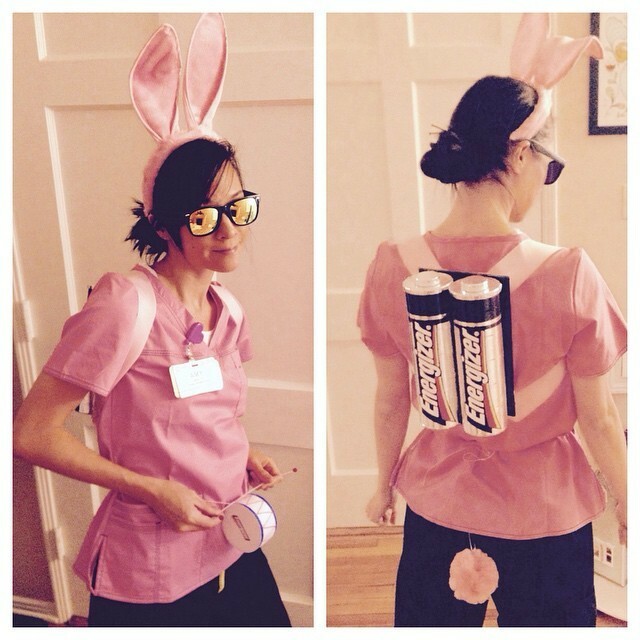 With a little creativity and effort, you can transform your scrubs into an unforgettable costume. Dressing up for work on Halloween can make for a spooktacular day for both you and your patients. So, use your imagination and put your scrubs to work! Don't forget to show us how you're styling your scrubs for the holiday using the hashtags #styleyourscrubs and #nhacertified. We can't wait to see what you come up with!